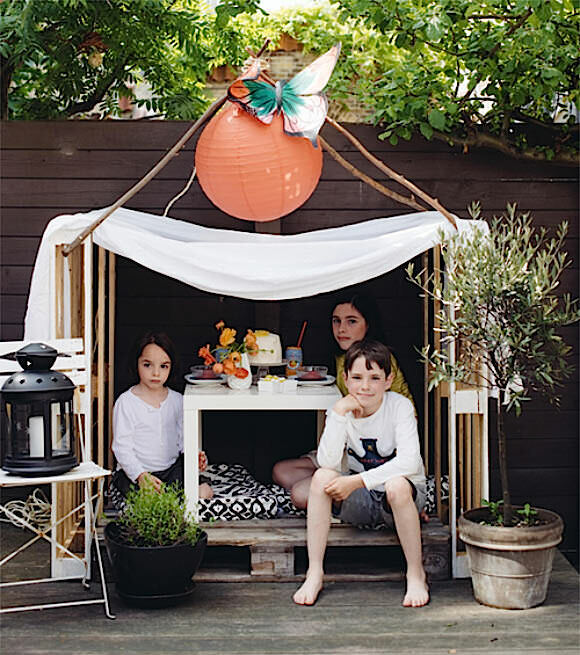 There is something magical about an outdoor playhouse. 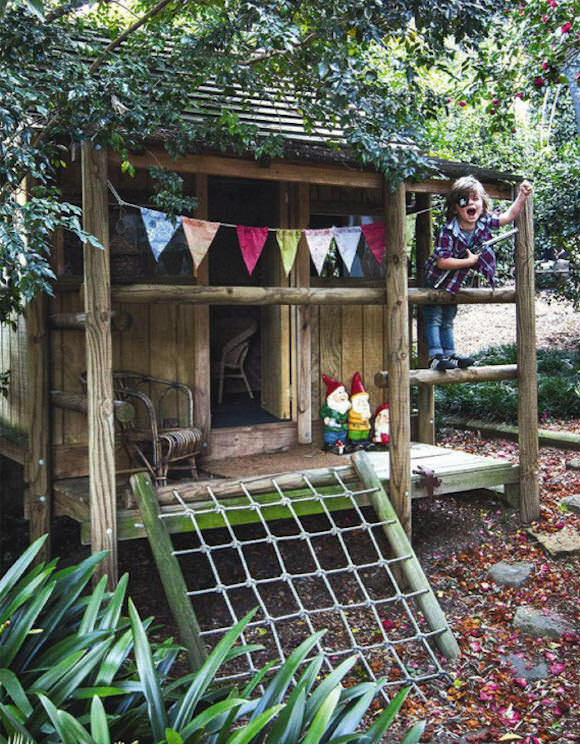 A place to mimic mom and dad’s routine, a hideaway spot for teens, a pirate’s secret refuge… a playhouse plays an important role in a child’s development. 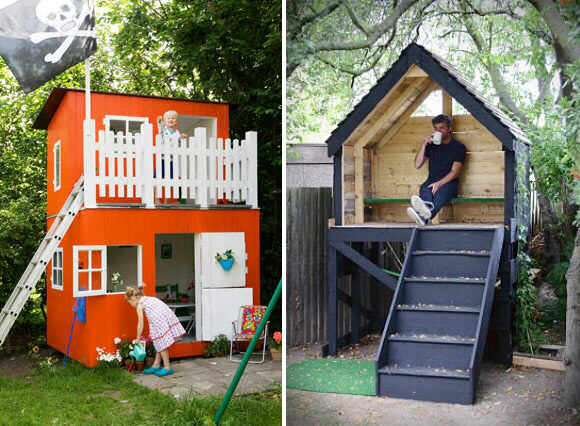 Here is a selection of our favorite outdoor playhouses. A playhouse is the perfect spot to pretend play and mimic mom or dad’s home routine: organizing toys, dusting, cleaning and watering balcony plants; a playhouse teaches a child to be responsible. 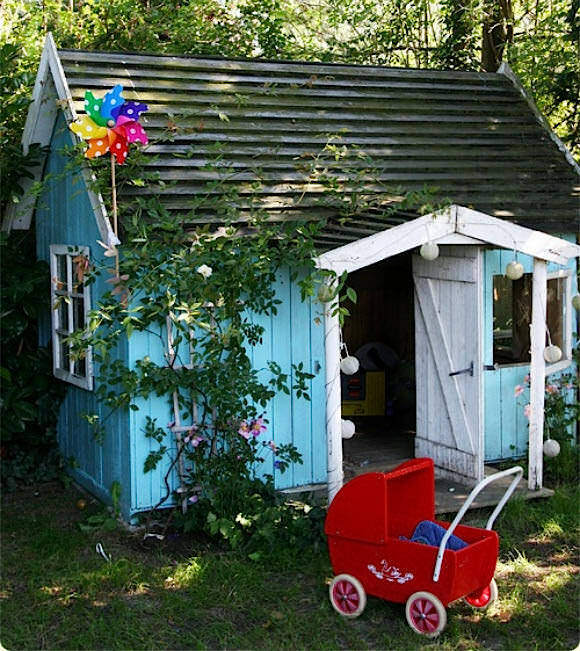 On the other hand, in a playhouse, mess is allowed, and while parents usually ask for a kid’s room to be tidy and in order, a playhouse is their zone, a space where they are allowed to bring rocks, sand and other yard creatures. Let your child ask you when they feel they need help cleaning their playhouse and make the playhouse-cleaning time a shared and fun moment. 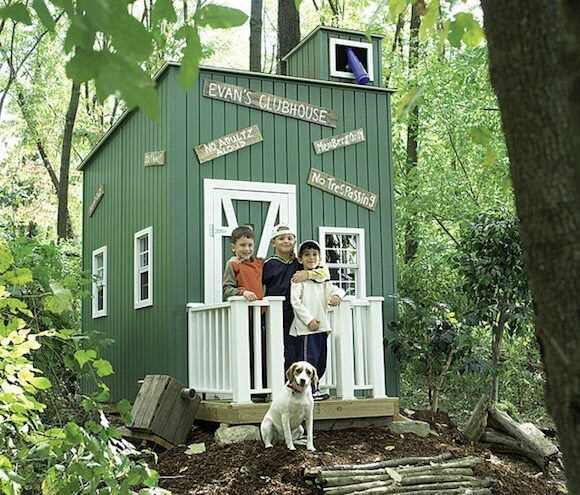 A playhouse can be customized in many ways, girly and romantic, pirate and adventure themed, colorful or hidden in the yard’s landscape. 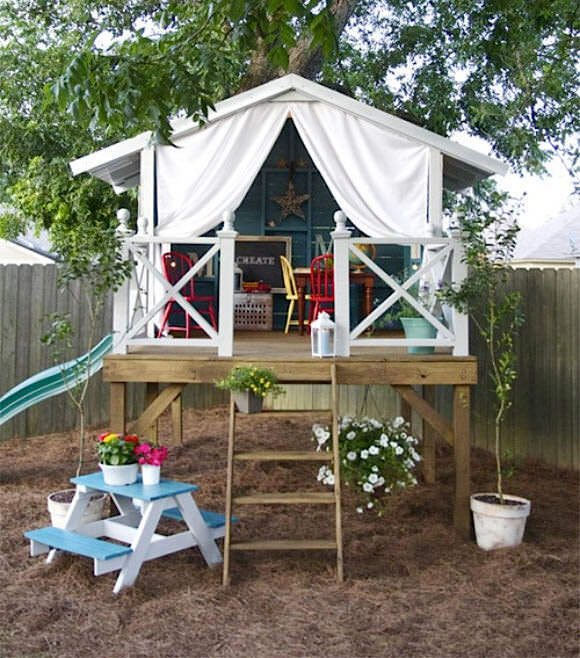 A playhouse also grows with your child and can easily be updated into a teen’s hideaway and refuge spot from the adults’ world. Whether you purchase a ready-to-assemble playhouse or build your own, be sure that it’ll be worth the investment. 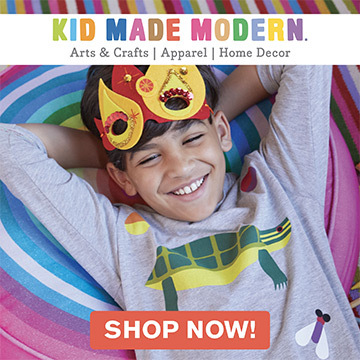 Countless hours or fun, pretend play and adventures will be spent in the yard, far away from modern electronic devices and the TV set. Priceless! Image credits (from the top): Inside Out (photo 1), Strawberry Life (photo 2), A Subtle Revelry (photo 3), The Handmade Home (photo 4), Vintage Revivals (photo 5), Tiny White Daisies and The Pallet Project (photo 6), Lilliput Play Homes (photo 7). I really like the ones that are elevated off of the ground so just in case it rains it won’t flood or destroy anything inside, they’re all so adorable. I want to try something like this for my parents home also. So awesome! My brothers built their own and called them forts. No girls allowed. I always wanted a tree house like the Swiss Family Robinson. 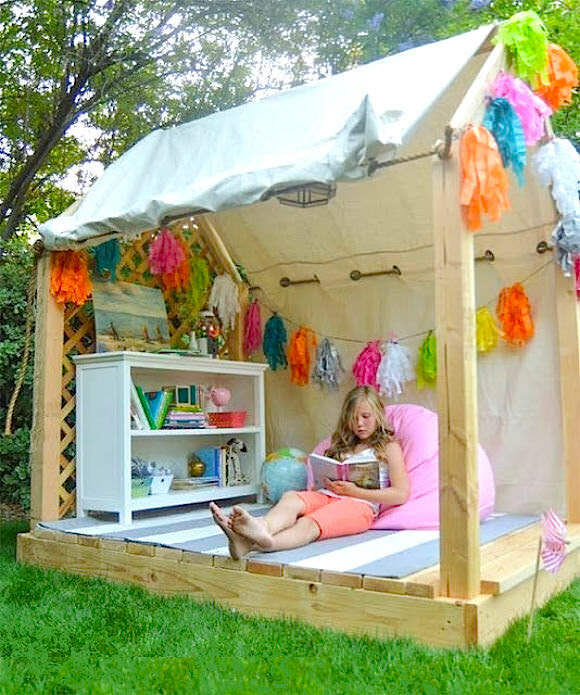 Yes, I think every kid should have this outdoor house for play and adventures! Haha, that sounds like a great idea Martha! Do it! Thank you Briana, so glad these inspired you. Happy DIYing in your parents yard! Hi there. I’m new to Pinterest. Would it be possible to get the plans for #4? Very nice indeed. I would also love the plans to #4 & #5 if possible.